The energy and excitement of slots is irresistible. Boasting over 1800 of the hottest, newest and most in-demand slot games available, the Beau Rivage Slot floor is a thrilling sight to behold. You will find machines ranging in denominations from 1¢ to $100, including more than 500 progressives. This tremendous variety of classic reels, innovative video slots or the ever-popular video poker games guarantees that you’ll never utter the word “bored”! And at Beau Rivage, every machine is equipped with the EZ Pay system - 100% coinless - making cashing out faster and easier than ever! 1800+ of the newest, most in-demand slot games available. 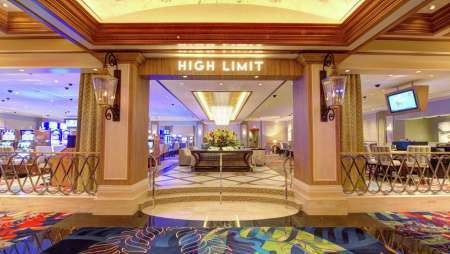 A new High Limit room with 126 machines. 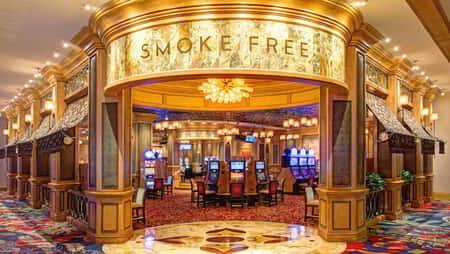 A new Smoke Free parlor with 87 machines, plus another Smoke Free area with 146 machines. Apparent from the moment you step through the grand-yet-discreet entrance, our newly designed, ultra-luxurious High Limit Lounge is unlike any other outside of Las Vegas. This beautifully appointed area features its own exclusive lounge and full service bar, stocked with fine wines, premium spirits and irresistible hors d'oeuvres. Players also enjoy the convenience of their own cashier and access to private restrooms.